In the remote deserts of southern Africa, scientists have discovered a new mammal species, which resembles a mouse but carries genes that are related to elephants. 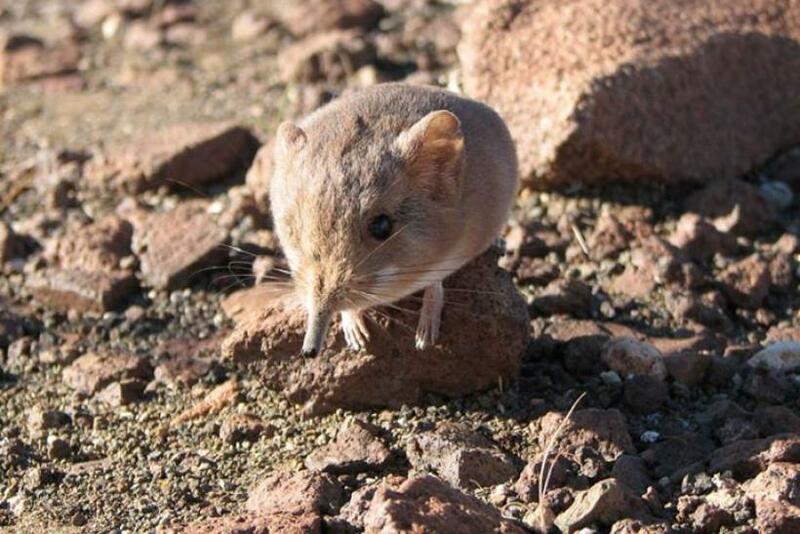 The new species of round-eared sengi, or elephant shrew, is the native of the far-off northwestern region of Namibia, and is said to be the smallest known member of the 19 sengis in the order Macroscelidea. The animal, with the scientific name Macroscelides micus, has rust-colored fur, allowing it to blend in with the color of rocky surroundings. “Genetically, Macroscelides micus is very different from other members of the genus and it’s exciting to think that there are still areas of the world where even the mammal fauna is unknown and waiting to be explored,” Jack Dumbacher, a curator of birds and mammals at the California Academy of Sciences in San Francisco, said in a statement. According to scientists, the creature weighs nearly 28 grams and measures only 7.5 inches in length, including its tail. The genetic testing of the species revealed that its DNA -- despite its smaller size -- is similar to that of much larger mammals, such as elephants. However, the only visible connection between an African elephant and this tiny shrew is its long nose, which resembles a trunk. As part of their research, the scientists collected 16 specimens of Macroscelides micus during nine expeditions between 2005 and 2011. They compared the specimens to those in natural-history collections in Windhoek in Namibia, Pretoria in South Africa, London and Los Angeles, as well as their own academy in San Francisco. The comparative process led them to conclude the new sengi, found on the inland edge of the Namib Desert at the base of the Etendeka Plateau, was indeed a new species. Scientists have compared the new mammal species to a small antelope because of its build and sleeping habits, while the animal’s hunting techniques and its preferred prey have shown the traits of a smaller anteater, Reuters reported.